Ready-made kits take the hassle out of building a parade float. Click a category below to start shopping for parade float kits. What are parade float kits? Our DIY parade float kits include all the floral sheeting, fringe and twist you'll need to build a specified type of parade float. 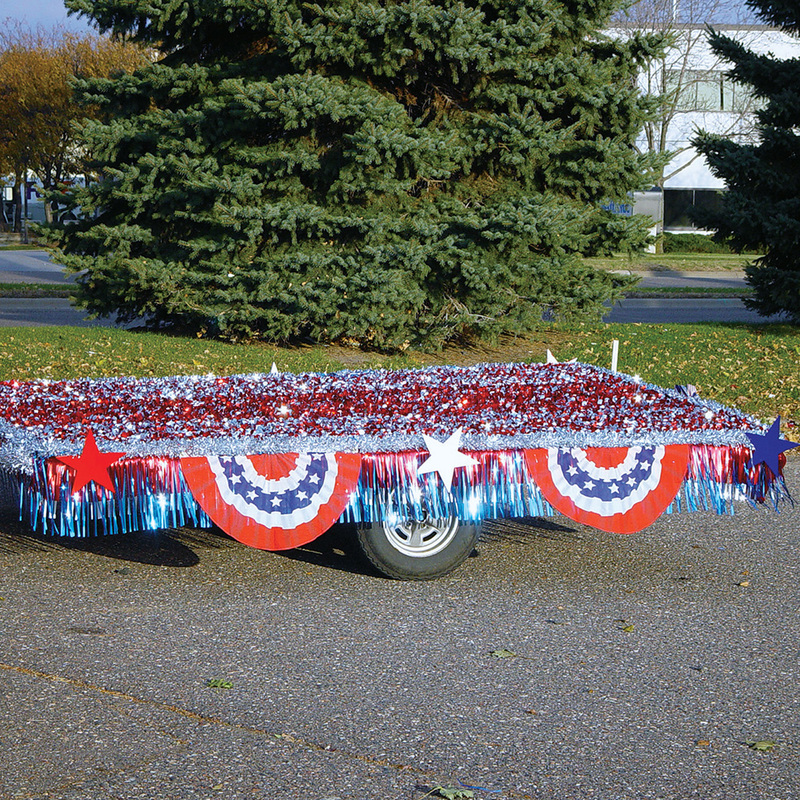 We sell four types of parade float kit: full-float kits, trailer kits, truck kits and car kits. 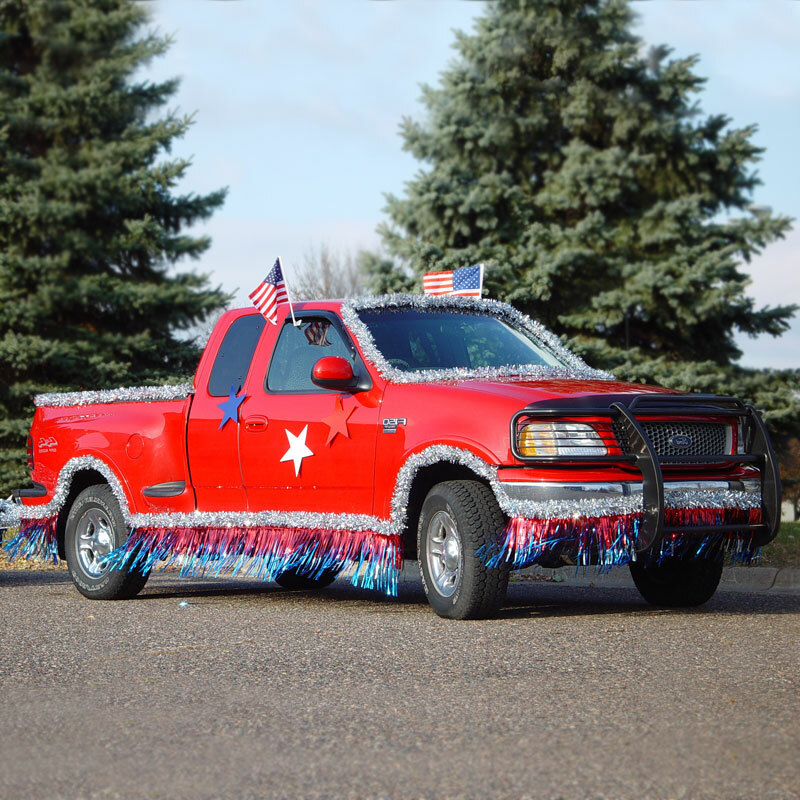 If you're towing a beautiful parade float with a truck, you'll want the truck to be prettied to match the float. Truck kits give you the materials you need to make that happen. They're also great for tailgating events or outdoor parties. Car kits have many uses as well. For example, they make great wedding decorations for your car, and you'll be the talk of the town when you pull up to a grad party or sporting event with a decorated car. Full-float kits give you the materials you need to create predetermined parade float designs. 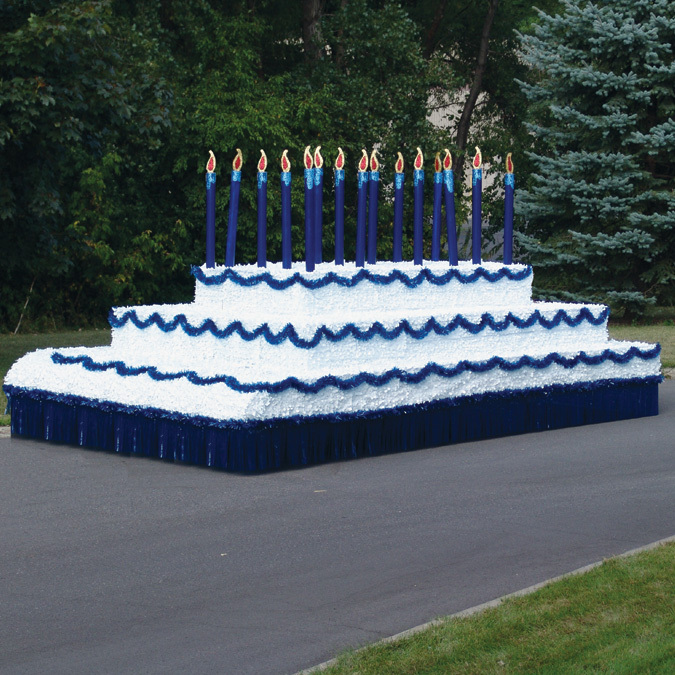 This DIY parade float solution removes the stress of having to figure out exactly which supplies you need before you start building a parade float. Each kit can be customized to match the color scheme of your choice. Victory Corps has been in the parade float business for over 100 years. 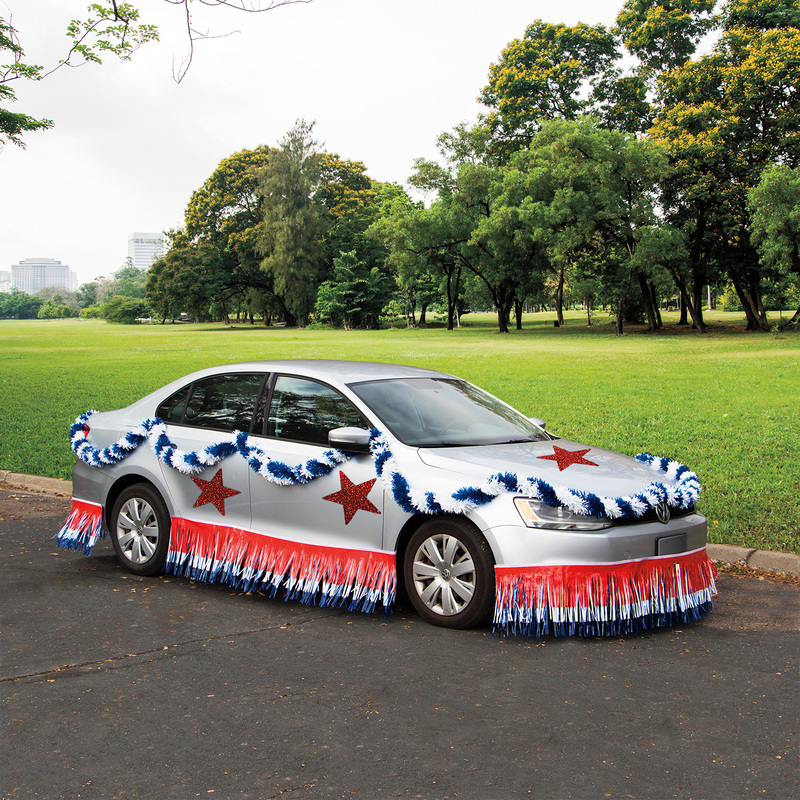 We have experts on staff who can guide you through your next parade float or car decorating project. Give us a call and see what Victory Corps can do for you. Trailer kits let you join a parade on a budget; all you need is a trailer. 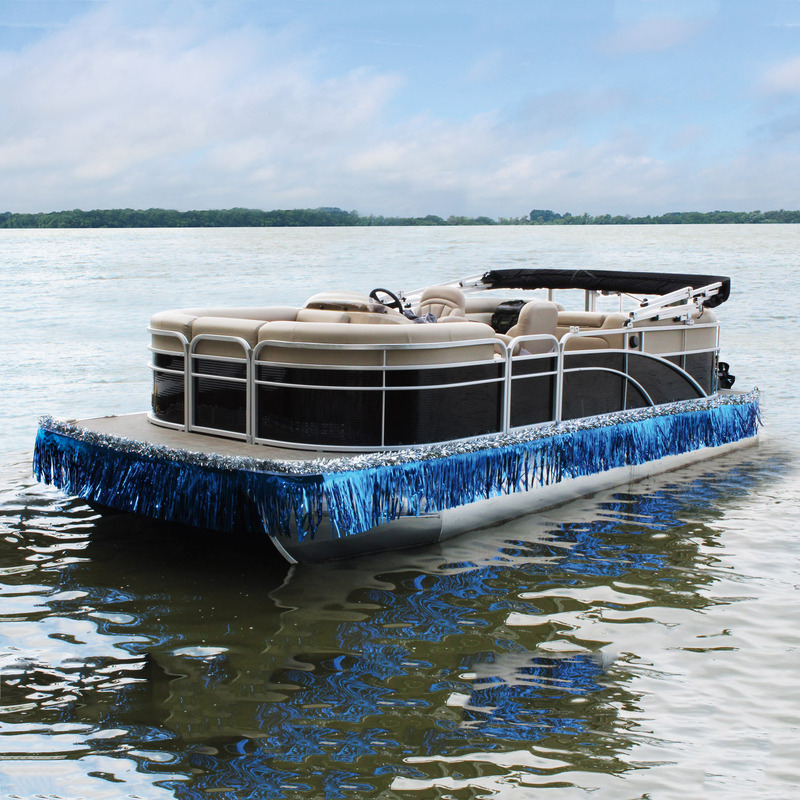 These kits include floral sheeting for the trailer bed, as well as fringe and twist to line the edges of the trailer. Choose a color scheme you like and start building!